For the first time, High Peak Borough Council and Staffordshire Moorlands District Council have jointly procured fleet as part of a Strategic Alliance agreement signed in 2008. Specialist Fleet Services Ltd (SFS), the incumbent supplier at Staffordshire Moorlands for over 14 years, was successful in beating off a large number of bids to win the popular tender. 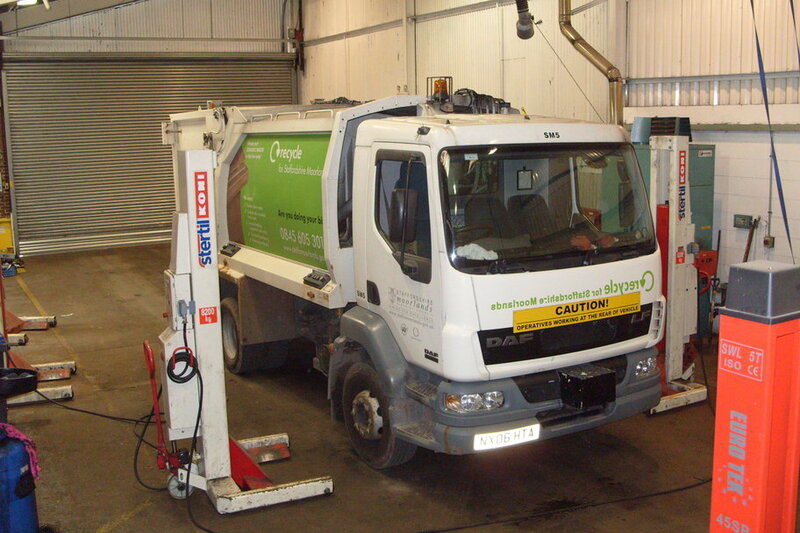 The 7-year contract, commencing 1 April 2013 comprises the provision and maintenance of 62 vehicles for grounds maintenance, street scene, waste collection and environmental health services. The vehicles include 1 x 15 T Johnston sweeper, 2x Scarab Magnum sweepers, 1x Scarab Minor and 6x Schmidt Swingos; 8x RCV’s with Mercedes chassis and Dennis bodies (3 x standard and 5 x twin-packs); plus a range of light vans such as Ford Transit vans and 3x Citreon Dispatch vehicles for Dog Wardens. Some of the new vehicles will be shared across both authority areas, such as those for Street Scene, and others will be used primarily in one district but provide cover for the neighbouring authority as and when necessary. With a proven track record in workshop and fleet management SFS engineers will also be maintaining the vehicles at the Staffordshire Moorlands depot. In 2008 High Peak Borough Council and Staffordshire Moorlands District Council agreed to work jointly, forming a Strategic Alliance to secure efficiency savings, protect jobs, improve public services and provide the best value for money for taxpayers.